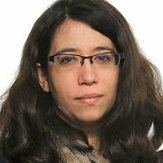 We are delighted to welcome Dr Despoina Marvridou from Imperial Collage London who will give our next Florey Seminar. Dr Despoina Mavridou has a chemistry background and after finishing her undergraduate studies at the University of Athens, proceeded to do a PhD in Biochemistry at the University of Oxford working with Stuart Ferguson and Christina Redfield. Her project involved structure-to-function studies of Escherichia coli DsbD, a central protein for disulfide bond formation in the periplasm of Gram-negative bacteria. After her PhD, Despoina remained in the same research lab as a postdoctoral research associate continuing her work on disulfide bond formation, while she also branched out to study cytochrome c maturation in E. coli. In 2014 she was awarded an MRC Career Development Award to start her own research group at the MRC Centre of Molecular Bacteriology and Infection (CMBI) at Imperial College London. Before starting her fellowship, she spent a year as a research fellow in the Department of Zoology in Oxford, as part of the research groups of Kevin Foster and Stuart West. Her work there focused on the contribution of collective behaviour in bacterial competition. As an independent group leader Despoina is broadly interested in the biology of Gram-negative bacteria and more specifically in processes that occur in the extra-cytoplasmic environment. Her research approaches span from the fundamental to the applied and her lab currently focuses on three main research directions: 1) Understanding the involvement of disulfide bond formation in mechanisms of virulence of key Gram-negative bacterial pathogens, like Pseudomonas aeruginosa and Klebsiella pneumoniae; 2) Investigating whether proteins involved in disulfide bond formation could be potential targets for the treatment of antibiotic-resistant bacteria; 3) Studying the dynamics of bacterial communities and more specifically the competitive interactions between toxin-producing enteric strains encountered in the gut microbiota. The disulfide bond formation (DSB) system has a central role in protein homeostasis by folding hundreds of proteins in the cell envelope of Gram-negative bacteria. Whilst the importance of this pathway for bacterial virulence is well-established, its contribution to antimicrobial resistance is unknown. Here, we report that DSB proteins are necessary for the function of key antimicrobial resistance determinants. Resistance arising from the production of β-lactamases, mobile colistin resistance enzymes and RND efflux pumps in Enterobacteriaceae is dependent on DsbA. Moreover, chemical inhibition of disulfide bond formation leads to sensitization of multidrug-resistant clinical isolates to existing antibiotic compounds. This makes the DSB system a promising antimicrobial resistance target, potentiating the use of existing drugs for the treatment of enteric pathogens. Our first seminar speaker this year is Prof. Jan-Willem Veening from the University of Lausanne, Switzerland. The Veening lab uses systems and synthetic biology approaches to study chromosome segregation, mechanisms of antibiotic resistance development, and noise in gene expression in the important opportunistic human pathogen Streptococcus pneumoniae. ​Prof. Veening obtained his Ph.D. from the University of Groningen, the Netherlands, and received postdoctoral training at the Centre for Bacterial Cell Biology, Newcastle University, UK. In 2009, he established his own research and teaching group in the Groningen Biomolecular Sciences and Biotechnology Institute at the University of Groningen. In 2016, he moved to the University of Lausanne as full professor at the Department of Fundamental Microbiology. At the Florey Institute we will be celebrating this event by posting and tweeting about all exciting news, research and work going on at our Institutes. ​Matt Holden is a Professor of Bacterial Genomics in the School of Medicine at the University of St Andrews, and consultant with NHS National Services Scotland. Prof Holden runs a group focusing on experimental and translational genomics. He is the genomics lead on the SHAIPI consortium tackling nosocomial infections in Scotland, and lead on the HATUA consortium investigating the burden and drivers of antibacterial resistance in East Africa. His research interests include the evolution of antibiotic resistance and pathogen populations, and the epidemiology of nosocomial infections. ​The widespread use of antibiotics, in association with high-density clinical care, has driven the emergence of multi drug-resistant pathogens that are adapted to survive and thrive in hospitalised patients and healthcare settings. Of particular concern are Methicillin-resistant Staphylococcus aureus (MRSA). Using whole genome sequencing we have been able build a picture of the evolutionary events that have shaped the genomes of successful hospital-associated MRSA clones, and trace their spread from the global level, right down to the patient level on a ward. In this talk I will focus on some of the most successful pandemic MRSA clones and illustrate how genomics has been used to gain a greater understanding of the epidemiology of disease, and what has driven the success of MRSA. Prof. Martin Llewelyn from the Brighton & Sussex Medical School and Consultant in Infectious Diseases at Brighton & Sussex University Hospitals NHS Trust will be giving our next Florey seminar on Tuesday 1st May at 1:30 pm. Everyone is very welcome. Stopping sooner: a safe way to reduce antibiotic overuse in hospitalised patients? Dr Mark Collery from Micropathoglogy will be giving a special invited talk to our Florey cohort on Wednesday 30th May 2018 at 2 pm. Everyone is very welcome. Dr Collery will hold a special guest talk to our institute to his experience working in clinical diagnostics at our ‘FIRF’ cohort meeting on Wednesday 30th May. Mark works for Micropathoglogy who are a company specialising in Pathogen Detection, PCR and DNA Sequencing (@Micropathology). He will share his insight into the challenges faced by clinical diagnostics in the UK and his career experiences working within this sector. Professor Willem van Schaik from the University of Birmingham will be giving our the Florey seminar on Friday 23rd March , at 1 pm. Everyone is very welcome. ​​Willem van Schaik is Professor of Microbiology and Infection in the Institute of Microbiology and Infection of the University of Birmingham. Professor Van Schaik obtained his PhD degree in microbiology from Wageningen University in the Netherlands. He then did post-doctoral studies on an EMBO Long-Term Fellowship at the Pasteur Institute (Paris, France). He then moved to the University Medical Center Utrecht in the Netherlands, where he set up his own research group on antibiotic resistance in 2010. Prof Van Schaik moved to the University of Birmingham in April 2017. He has received major grants from The Netherlands Organisation for Scientific Research, the Seventh Framework Programme of the European Commission, the Joint Programming Initiative on Antimicrobial Resistance (JPIAMR) and The Royal Society. He was awarded a Royal Society Research Merit Award in 2017. 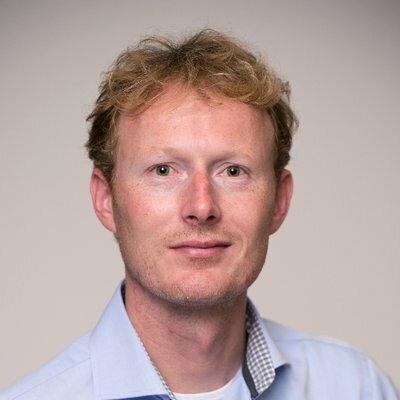 The research group of Professor van Schaik combines experimental tools in molecular biology and biochemistry with the opportunities offered by the development of novel, high-throughput DNA sequencing technologies and bioinformatics to elucidate the mechanisms by which harmless commensals transition into multi-drug resistant opportunistic pathogens. In addition, he studies the role of complex microbial ecosystems, in particular the human gut microbiome, as reservoirs of antibiotic resistance genes (‘the resistome’). Dr Elizabeth Ballou from the University of Birmingham will be giving our the Florey seminar on Wednesday 7th March, at 1 pm. Everyone is very welcome. ​Elizabeth's group studies the interaction of microbes with the immune system, with a particular interest in the evasion of the host immune response. ​Liz studied organic chemistry at Mount Holyoke College in the US before moving to the London School of Hygiene and Tropical Medicine to study Molecular Biology in the context of infectious diseases. She obtained her PhD in Genetics and Genomics from Duke University where she studied the morphogenesis of the fungal pathogen Cryptococcus neoformans. In 2012 she moved to the Aberdeen Fungal Group at the University of Aberdeen and in 2015, she was awarded a prestigious BBSRC Anniversary Future Leaders Fellowship to establish her research group as part of the MRC Centre for Medical Mycology. In 2017, Liz moved to the Institute Microbiology and Infection at the University of Birmingham. Dr Carlos Reding-Roman from the University of Exeter will be giving our next Florey seminar on Thursday 1st March, at 3 pm. Everyone is very welcome. ​Carlos is currently an Associate Research Fellow in the Beardmore's Lab at the University of Exeter where he studies environmental factors that permit the evolution of antibiotic resistance by combining mathematical biology, microbial ecology and evolutionary biology. Dr Julia Greig from the University of Sheffield will be giving our next Florey seminar in the series by presenting her work on Tuesday 6th February, at 1pm. Everyone is very welcome. "S. aureus is a common cause of severe community acquired and hospital acquired infection worldwide. Despite the associated mortality from this blood stream infection of nearly 20%, the optimal antibiotic treatment is uncertain and most treatment recommendations are based on observational studies and clinical experience. The ARREST study tested the hypothesis that adjunctive rifampicin would enhance early killing of S. aureus and reduce treatment failure or disease recurrence or death. ​This large, multicentre, randomised, double-blind, placebo controlled clinical trial recruited adults from 29 UK hospitals with S. aureus bacteraemia. They were treated standard antibiotics with either additional rifampicin or placebo. The primary outcome was time to bacteriologically confirmed treatment failure, or recurrence or death from randomisation to 12 weeks. I will discuss our experiences of running a clinical trial involving acutely ill patients in Sheffield and the results of the ARREST trial, including the implications for the management of patients with this serious infection."